Available in Satin Nickel and Chrome finishes and in multiple sizes. Available in Chrome or Satin Nickel finish and in bigger sizes. 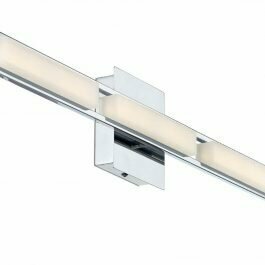 Available in Chrome or Satin Nickel finish and in different sizes. 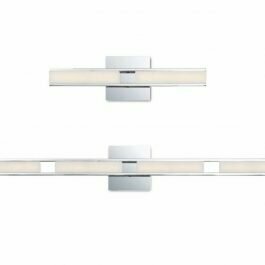 Available in Chrome and Satin Nickel finishes and in multiple sizes. Confetti and clear double glass spheres mounted on a mirrored frame. Aluminium linear backlit LED light. Available in additional sizes. Glowing acrylic LED diffuser encapsulates a polished metal frame. Frosted sleeve of LED on polished chrome hardware.